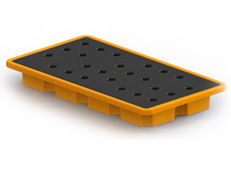 Drum spill containment pallets are specially designed for the safe storage of oils, chemicals, catching the any leaks, drips,spills. 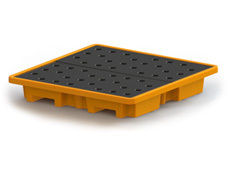 These pallets are made up from high quality polyethylene materials and reliable construction, ergonomics and safety on the shop floor. 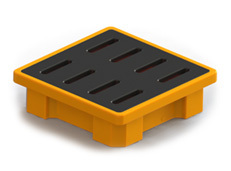 Our drum spill containment will change your working environment. 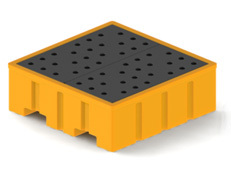 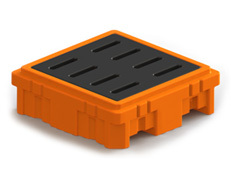 Our drum spill pallets are having reliable chemical compatibility and resistance – preventing corrosion and deterioration, assuring a long lifetime of service. 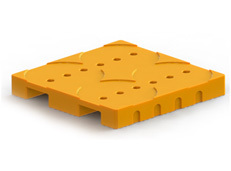 One piece molded seamless construction. 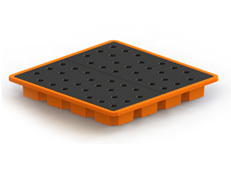 Food grade polymers, Safe for use in food industries. 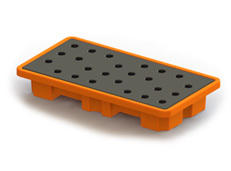 Molded from high quality virgin polymers. 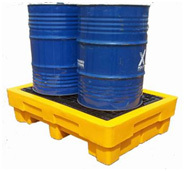 Description 4 Drum Spill Containment Pallet.